"I guess there is some people out there that love themselves, personally i am not one of them, ".... LOL!! What??!!?? 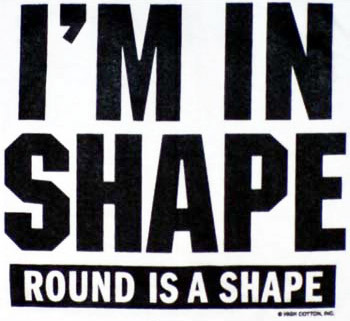 LOL at round is a shape! It's True!! Round is a shape lol! @Marie: Pffffff you know nothing! Thanks for dropping by Momfever! Your "round is a shape" reminded me of the movie The Great White Hype. And hey, you answered the question as truthfully as you could so no complaints here. Oh i've never heard of that movie Adam, i'll need to go check it out, is it any good?